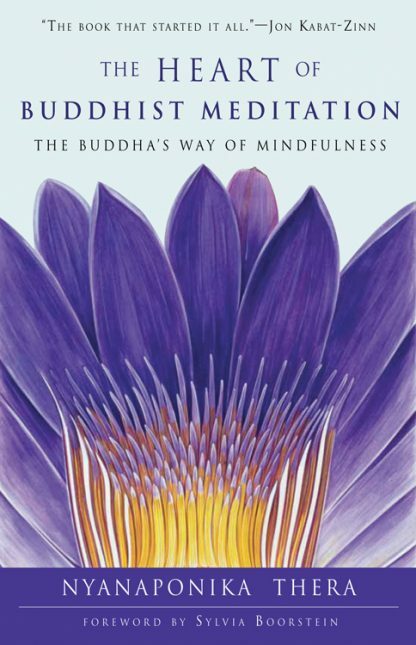 This is a classic text on the essence of Buddhist meditation. It is an excellent, in-depth description of mindfulness practice and its benefits. It includes a concise explanation of clear comprehension, which is the kind of mindfulness you use in the course of your daily life. It also presents an easily understandable explanation of the Four Foundations of Mindfulness. This new edition includes an introduction from noted author and teacher Sylvia Boorstein. Although the Buddha lived over 2500 years ago, his teachings on meditation are among the most effective methods for healing the pain of grief, finding inner peace, and overcoming the sense of dislocation caused by living in the 21st century. Mindfulness is a method not only for committed Buddhists. It is for everyone interested in mastering the mind. The Heart of Buddhist Meditation was the first serious, didactic Dharma book I read. It was the early nineteen-eighties. My teacher, Jack Kornfield, suggested it as the beginning formal training of my becoming a Mindfulness teacher. I have that original copy and I am touched by how many underlined passages, how many exclamation points in margins, how many addendums of my own written in tiny scrawl appear in its fading pages. Nyanaponika Thera (1901-1994) was a German�born Sri Lanka-ordained Theravada monk, co-founder of the Buddhist Publication Society, author of numerous books, and teacher of contemporary Western Buddhist leaders such as Bhikkhu Bodhi.